CEDAR CITY — We all know someone who is struggling with either a mental health issue or some kind of physical disability. Whether it’s depression, anxiety, eating disorders, dyslexia, arthritis or visual impairment, it is possible to overcome such ailments and live a happy life. 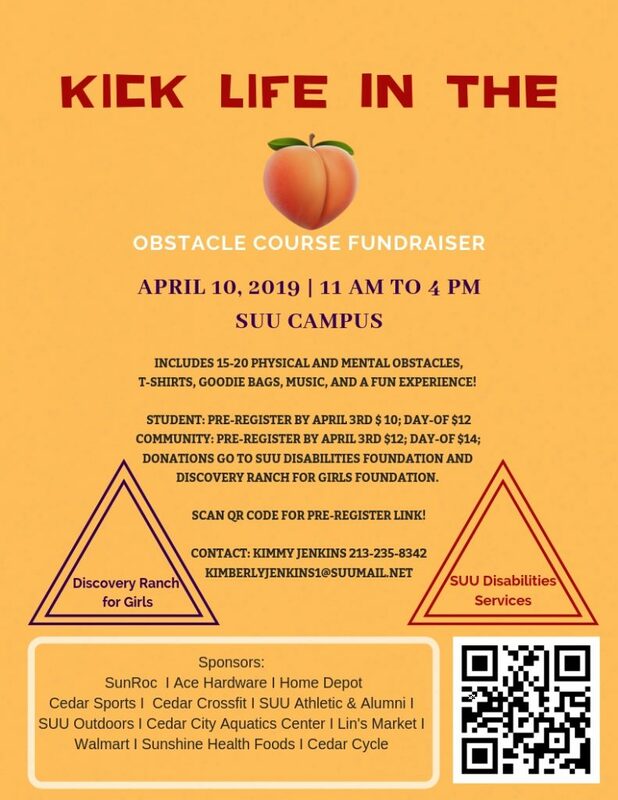 To help raise awareness of these issues and support those who may be struggling, Southern Utah University student Kimmy Jenkins is organizing an obstacle course fundraiser for her bachelor’s degree capstone project. Her goal is to raise at least $1,000, to be donated to the SUU Disability Support Office and the Discovery Ranch for Girls. The event, called “Kick Life in the Peach,” is scheduled for Wednesday from 11 a.m. to 4 p.m. on the SUU campus, in between between the Sharwan Smith Student Center, the Dixie Leavitt Business building and the Technology and Engineering building (see location on map below). Jenkins said the course will feature approximately 15-20 mentally and physically challenging obstacles, ranging from easy to moderate in difficulty. The estimated completion time for the course is approximately 30-60 minutes, depending on individual or group participation and ability and skill, she said. Jenkins got the idea after participating in a challenging Spartan Race when she was 19, saying the joy and sense of accomplishment inspired her to coordinate her own similar event. Jenkins said the event is focused on bringing awareness to students and community members, and information about mental health issues and physical disabilities will be shared at the event. Jenkins says she hopes the obstacle course fundraiser will become a repeating event at SUU and could also be implemented at other universities. Registration is $12 for SUU students and $14 for other members of the community. Participants must be 18 or older and sign a waiver. Identification will be required. Each participant will receive a T-shirt and a bag of promotional items donated by local sponsors. For registration information, click here. Those not participating who want to donate to the cause may also do so using the same form on the website. What: “Kick Life in the Peach” obstacle course fundraiser, organized by SUU student Kimmy Jenkins. 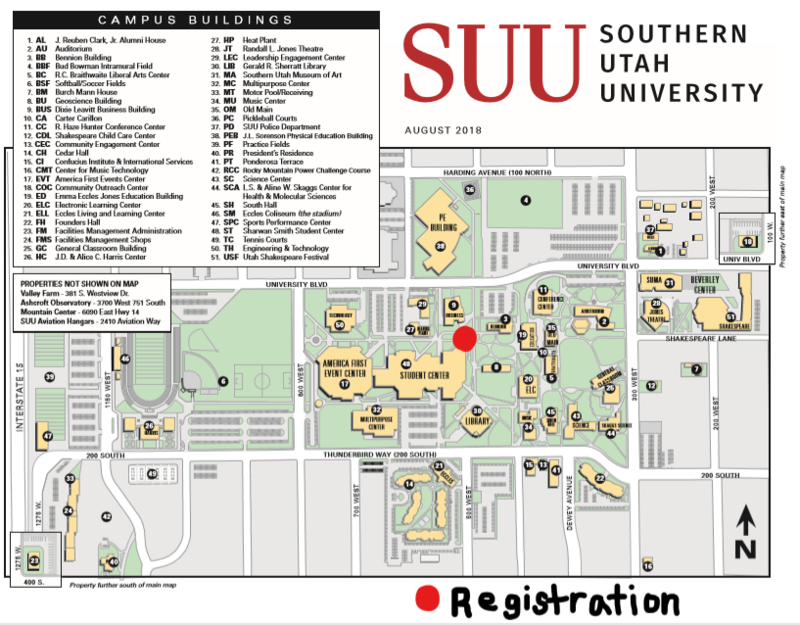 When: Wednesday, April 10, from 11 a.m. to 4 p.m.
Where: Southern Utah University campus, 351 W. University Boulevard, Cedar City (click here for map). Registration: Early registration starts Monday near the Sharwan Smith Student Center, or show up the day of the race at the same location. For registration information, click here.